The season for the acquisitions and mergers is back. Playtech has led the way with their Plus500 buyout. Playtech has come to an agreement to pay £460 million which is about $700 million to acquire Plus500. This will provide the necessary relief to the retail forex trading store which is barely maintaining their compliance with the money laundering rules. 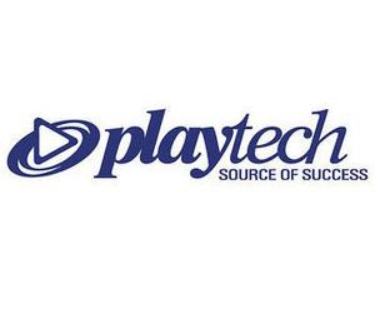 With the current acquisition, Playtech stands to benefit from this new acquisition from the turmoil Plus500 are going through which has seen multiple accounts to be suspended and this caused a 36% fall in their stock value. This is a huge risk which might seem silly for now. This is the second acquisition that Playtech is making in their foray into online trading exchanges after they earlier acquired the majority stake in Trade FX. Playtech is known to provide software for sports betting and online casino gaming but they are seeking to expand their portfolio and use their technology in currency trading. They are seeking to expand probably due to the pressure in the gambling industry from high taxes and harsh regulations. This deal might be sealed in a week; the CEO to Playtech believes that the current situation with Plus500 can be sorted out and have the company back to its feet. Playtech went in on this deal to capitalize on Plus500 weaknesses. This was after the announcements that some clients at Plus500 had their accounts frozen while more rigorous background checks were being conducted. This shook affected the values of Plaus500 and necessitated them for financial relief so that Play500 would meet their financial demands for their compliance. Plyatech paid 400 pence per share which made the stocks spike to 403 pence and then levelled down to close at 374.5 pence this was a modest rise of 1.2%. The CEO to PLaytech Mor Weiser said that after their recent acquisition of TradeFX and this of Plus500 will prove to be transformational for their plans in expansion of Playtech’s services offering. This is an immediately earnings acquisition. The two business combination is compelling which has enabled the use of their market leading products and services to make their financial trading better and add on the business as they proceed with their growth strategy for the Group. The CEO to Playtech; Weizer did not offer specifics but he said that more acquisitions could be possible and they believe that there will be consolidations over a period of time and they have intentions of acting as aggregators.